Makassar, Indonesia – After opening the new subway system in Indonesia’s gridlocked capital, President Joko Widodo flew east to the Sulawesi city of Makassar in March to tell a crowd of hundreds about the benefits of infrastructure. “You might have seen that Sulawesi has a wind power plant,” the former furniture salesman, who is seeking re-election in next week’s polls, told them. Soon after he took office in 2014, Widodo, popularly known as Jokowi, declared that eastern Indonesia would receive the bulk of the country’s infrastructure development, citing the region’s investment potential. A 145km railway, a massive port and dams were included on an ambitious list of infrastructure projects for the poorer region. But the president’s words fell on deaf – and even resistant – ears in the most populous province of Indonesia outside Java and Sumatra. Mardin Desewan, 37, was told two years ago that one of the planned dams would submerge his hometown of 2,000 people in the mountains. He did not oppose the dam knowing it could improve irrigation, prevent flooding and generate electricity. But then he heard how much compensation he would get. For a hectare of land, his family would receive barely enough to survive for a year, not counting having to find a new home and job. Mardin and a group of residents, assisted by Indonesia’s Legal Aid Institute, travelled to Jakarta last July to lobby officials. Some 56 families then tried to sue but the case failed in February. So, the residents protested on the streets of Makassar and then chained shut the gates of the project site in their village. 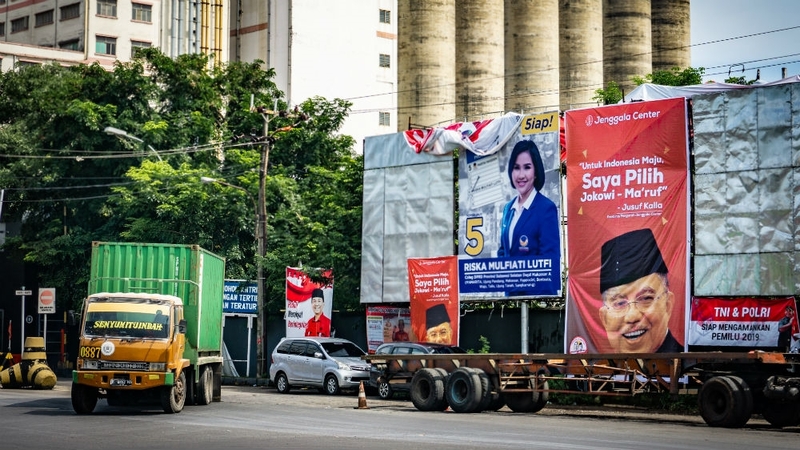 Analysts and national voter surveys predict Widodo will win a second term, but land issues heightened by infrastructure development, and a strong swing towards conservative Islam in a region that helped underpin Widodo’s 2014 victory, is expected to eat into his vote. Since campaigning began in September, voter surveys in South Sulawesi have never put Widodo above 50 percent, even as national figures have given him a slight majority. For those who remember the province’s 71 percent backing five years ago, it’s a more-than dramatic drop in support and partly reflects the loss of current Vice President Jusuf Kalla, who hails from Makassar, but cannot run again because he has served two terms. “After independence [in 1945], there were some prominent people from the east who tried to bring eastern Indonesian issues to the national level,” said Muhammad Isran Ramli, an infrastructure researcher at Makassar’s Hasanuddin University. Widodo quickly made himself the hard-hat-wearing president ready to open dams and toll roads. Over the past seven months, he has put infrastructure at the heart of his re-election campaign. Prabowo Subianto, Widodo’s challenger, is also targeting infrastructure improvements. South Sulawesi not only represents the provincial heart of infrastructure development beyond the most populated islands of Java and Sumatra, but is also the symbolic centre of Indonesia’s often-neglected eastern regions. Fourteen percent of the country lives in the east of the country – scattered among islands from Bali to the border of Papua New Guinea. But more than half its villages are without electricity or telephone lines, according to government data. Researchers agree Widodo’s plans have been largely successful: 19 ports, 10 airports, 17 dams, 40km in bridges, almost 3,500km in new roads, and more than three million repaired or new hectares of irrigated land among the projects completed across the archipelago. But construction, almost always awarded to state-owned companies, has been fraught. While Widodo told the presidential debate in February there had been no land conflicts related to infrastructure during his first term, data from the Agrarian Reform Consortium, a farmer advocate NGO, showed at least 210 land conflicts connected to infrastructure between 2016 and 2018. Even without conflict in some cases, development has simply failed to live up to voters’ expectations. In Tolo’s home province of East Nusa Tenggara, he says projects remain unfinished and rice field expansion is lackadaisical. 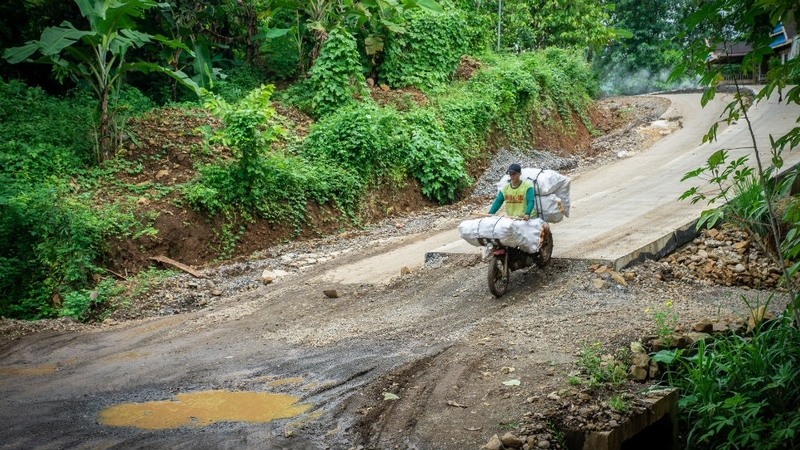 In Maluku, road growth has been strong, but considering it is a province of thousands of islands and people make a living in fishing, they really want ports, Ramli said. Disappointed that five years of promises have not delivered, voters are looking at alternatives. Some have said they will abstain, others are drawn to Prabowo who has cultivated an image of an iron-fisted, nationalistic, business leader. Additionally, Prabowo has courted the religious vote. As the origin of several post-independent Islamist movements, South Sulawesi has historically leaned towards religiously grounded politics, said Dedi Dinarto, a research associate at Singapore’s Rajaratnam School of International Studies. Tolo said respondents to his surveys in East Nusa Tenggara did not feel any difference between Widodo’s predecessors and Widodo himself, and many voters just want a change, even if they are unsure about what that might be. They may also want to use the election as an opportunity to pressure Widodo into doing more.